When your brand is best known for its affordability, some shoppers are automatically going to dismiss it as lower quality. But we’re here to tell you that budget-friendly and high-quality are not mutually exclusive concepts, especially when it comes to cars. Perhaps no automotive manufacturer demonstrates this better than Kia. Its reputation for affordability is hard to beat, but it doesn’t rest on its laurels or content itself with delivering lackluster products. Quite the opposite: Its vehicles, from the Sedona to the Forte to the Soul, are remarkably competitive in their respective classes, offering safe, reliable, luxuriously appointed vehicles that can stand up to ones that come with much higher price tags. The Kia Sorento is a prime example. This midsize SUV offers a roomy ride so passengers can stretch out and relax. It has ample cargo space, a tech-savvy interior, and safety and driver-assistance features that rival those found in much more expensive brands. It provides a powerful performance on the road-and it looks good doing it, with a bold and attractive body style that gives it a noticeable presence among the horde of other midsize SUVs you’ll spot out and about on the roads of Richmond. In fact, the Sorento is such a fine specimen that words just don’t do it justice. No worries-Safford Kia of Fredericksburg has them in stock and waiting for you to test drive. That firsthand experience will give you a much better idea of how comfortable you feel behind the wheel, how expertly the Sorento handles, how all of the features come together to create a vehicle that seems much closer to a luxury SUV than its price would indicate. So explore our online inventory of new and used Sorento models, and then call us with any questions or to determine what your next steps should be. What’s New in the 2019 Kia Sorento? The popular and value-loaded Kia Sorento is one of the most well-rounded midsize SUVs on the market today, and the 2019 Sorento is bringing even more to the road than ever before. Perhaps the most noteworthy change is that the 2019 Sorento now comes standard with a third row, seating up to seven in its comfortable, spacious, and upscale cabin. On the performance front, the available 290-horsepower V6 engine with 8-speed automatic transmission will satisfy your desire for power and acceleration. Also worth mentioning are the subtle but visually appealing styling updates on the Sorento’s exterior. Redesigned headlamps and other understated tweaks give the Sorento a cleaner and more sophisticated aesthetic. New safety technology graces the 2019 Sorento’s list of equipment, adding features like lane keeping assist and a driver inattention and fatigue monitor. These new elements join the Sorento’s existing array of smart safety features to improve road safety for everyone. When you’re ready to see for yourself all the many ways the 2019 Kia Sorento excels, stop by Safford Kia of Fredericksburg and check out the ones we have in stock. Introduced in 2003 as a larger iteration of the Kia Sportage SUV, the Sorento stood out for its ability to challenge other SUVs with off-roading capabilities at a more affordable price. The following year’s changes aimed to bring sportier appeal to the Sorento, with alloy wheels and other upgrades. By 2006, alloy wheels were the standard. Engine and performance enhancements came with the next few model years, with the addition of an available 3.3L V6. To address consumer demand for more passenger capacity, the 2011 Sorento introduced an optional third row that would enable the SUV to seat seven. With a steady stream of technological and feature upgrades that keep it on par with higher-priced vehicles in its segment, the Sorento seems to be going nowhere but up. Why Buy or Lease a Kia Sorento from Safford Kia of Fredericksburg? 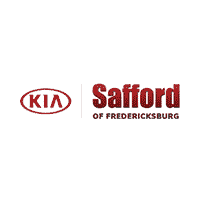 The friendly team at Safford Kia of Fredericksburg can’t wait to show you everything the Kia Sorento can do. When you visit us at our conveniently located dealership (5204 Jefferson Davis Highway), we’ll be at your service, helping you narrow down your options, setting you up on a test drive, and showing you the best ways to save money when you lease or buy from us. We have finance experts on site who can answer any questions you may have about car loans, credit, and ways to get lower monthly payments, and our special offers are some of the best you’ll find anywhere in Virginia! Drivers in and around Richmond, Post Oak, and Stafford, don’t wait another day! We’re standing by to get you into the vehicle you’ve always wanted.